JOIN US AND BE PART OF YOUR OWN SUCCESS STORY! The first step to speeding up your business web site is to actually see what Google sees! Google has provided a handy online tool that lets you check just that. The findings are displayed in easy to use sections (some sections are just for the coders out there!) and it will also provide you with a page score for both mobile and desktop. This is the first tool SEO Service Dublin uses when analysing a web site to check the metrics governing site speed. The scores out of 100 tell the full story and shows in an instant exactly where you can focus on to get that page speed score moving towards 100%. 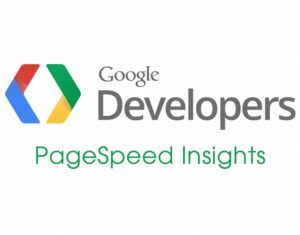 Initially, the scores can be both a disappointment and a surprise to business owners but with some quality code configuration, tweaks and a good use of the various page speed plugins currently available on the WordPress plugins market place, you can soon see the scores improving for all devices. The best feature of this online app is that it actually gives you the site improvements in a handy to download zipped folder on the bottom of the screen. All you have to do is ftp the improved system files to the correct directories to see the speed improvements. To get the correct file path name, just place your mouse over the path on the url specified underneath the various sections. Before implementing any of the recommendations, we strongly advise you to back up your WordPress files, database and folders. Links and link building strategies are not dead despite what you read online. Google’s search engine algorithm will always take into account all incoming links pointing to your site with a view to successfully rank your site. Before Google changed the way in which it viewed links, quantity was the deciding factor when it came to a websites ranking. Links and link building strategies are not dead despite what you read online. Link outreach remains paramount when trying to build up your link profile. There has been a huge influx in emails to Irish businesses from overseas web/SEO companies offering link building and SEO services for a low fee. However, these types of services have a limited (if any) positive effect on organic. local SEO and in a significant number of cases can actually do more harm than good when applied to your website. Here are some pointers for anyone thinking of engaging with these types of companies. 1) Do they have a physical presence in Ireland? A bricks and mortar head quarters allows you to visit them to discuss your online needs. It is also important to have a physical location to allow you to have some chance of recourse if things go wrong. 2) Can you speak to clients of the SEO company in Ireland who are currently using the services? Being able to talk to existing clients will better help you understand their services and way of operating. Think twice before outsourcing your SEO/Online web presence to a company not based in Ireland. The pitfalls can be severe and long lasting!